But it's too late now, your already gone you should have said goodbye. A very powerful poem, Michael. Thanks for sharing. 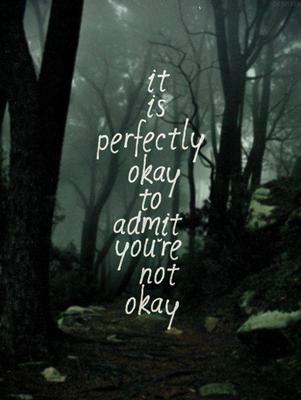 And, I love the image you added because you're right ... it is okay to admit you're not okay. Because that is the only way you can begin to heal. Acknowledge that something is wrong, that there's some healing that needs to happen. Then get the help and support necessary to make it happen.